Made without wheat and gluten. 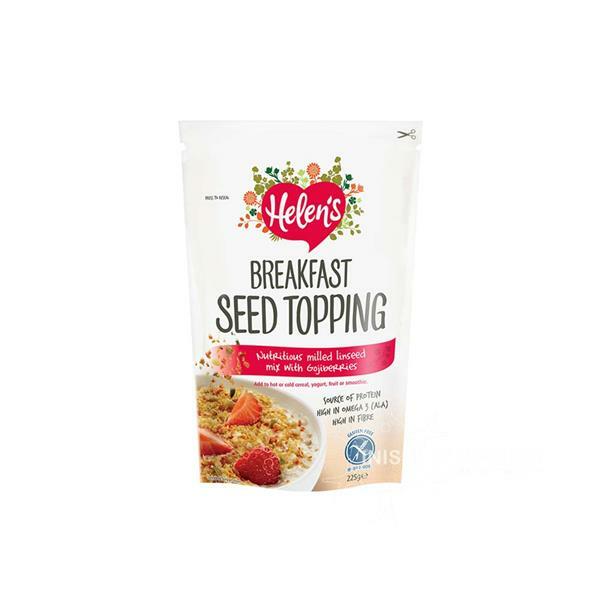 Highly nutritious seed mix with milled linseed, sunflower, pumpkin and chia seed, with gojiberries. Add two tablespoons (30g) per day to your cereal, porridge, yogurt, fruit or smoothies. As its high in Omega 3 and high in Fibre this product helps you achieve your recommended daily intake of fibre and omega 3, plus it is a great source of protein.